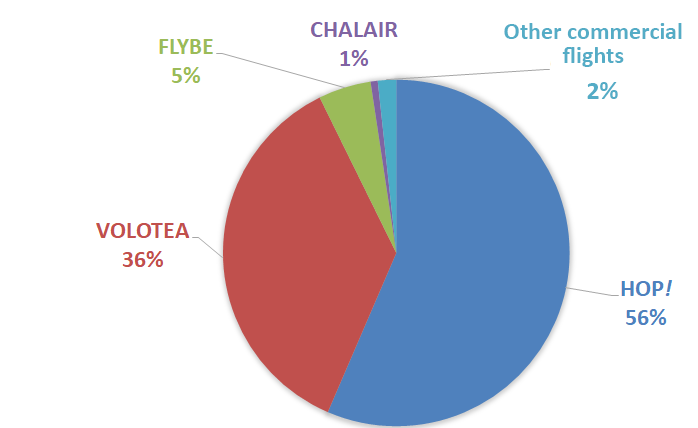 In 2018, Caen-Carpiquet airport has registered 274 011 commercial passengers, which represents an increase of more than 51,46% in comparison to 2017. A increase of 16% was registered compared to 2017 with 4 694 passengers. A public service airport: health flights have increased by 2%. A la carte service, discreet performance, the know-how of the airport of Caen-Carpiquet is appreciated by the private passengers and pilots from the whole world, as well as flying clubs. 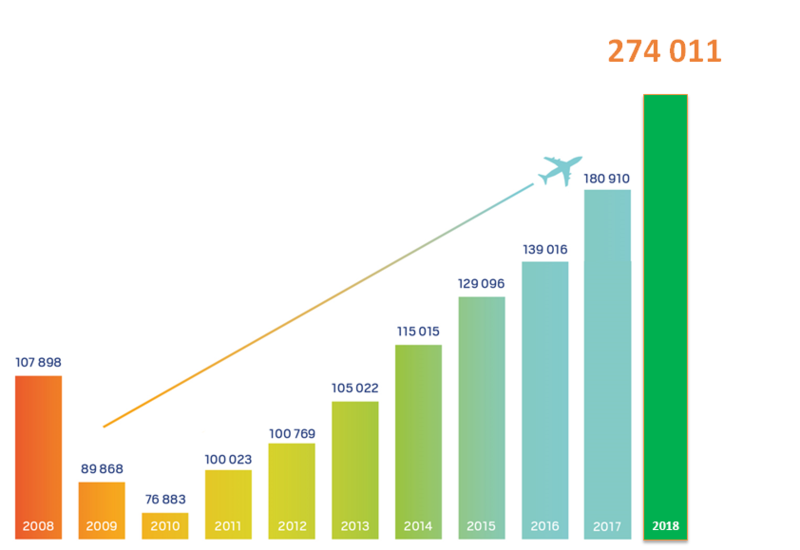 In fact, 35 500 passengers were welcomed in 2018. The airport invites you to follow its news throughout the year on its social networks, FACEBOOK and TWITTER, discover the best offers, unusual visitors, the events that occurred . 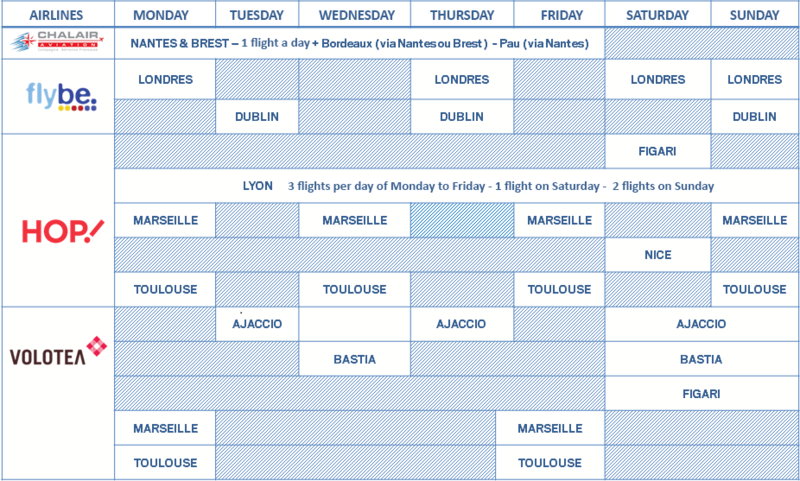 WHY FLY INTO AND OUT OF CAEN AIRPORT? An essential part of linking the health system at a regional level.